Melvin & Hamilton is a Paris-based brand of unique shoes designed and crafted with special attention to detail. Launched in 2012, their multi-language and multi-channel online shop focuses on community and user experience. For Melvin & Hamilton we created a highly customized international Magento store. Since 2012 we have been building brand engagement across multiple digital channels. We continuously work on Melvin & Hamilton online store providing new features and making sure it stays secure and performant. Work for Melvin & Hamilton is like an adventure. We started cooperation on the front-end level with existing layout and month by month we have changed and improved it. Melvin & Hamilton is growing and they need more features, categories, pages. Better solutions for their customers. So is technology - you can’t get stuck with web design, otherwise you will be falling behind. Some of the work we've done for Melvin & Hamilton includes designing their blog from scratch, redesigning page headers based on the results of the UX analysis and user tests as well as creating commercial banners for social media. We cooperate with Melvin & Hamilton to expand their unique look and feel outside of the internet. In the world of fashion beauty is a value. 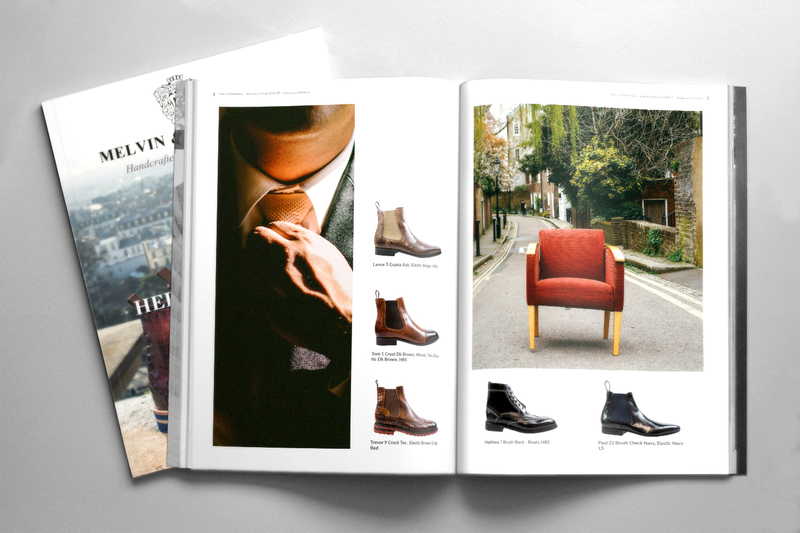 We’ve created amazing look-books and catalogs for shoe lovers. There is nothing more pleasant than to sit comfortably on the sofa with a cup of coffee and to flick through a lookbook full of pictures of amazing shoes. We know that. That's why we created a crispy clean layout full of beautiful mood pictures showcasing each of the gorgeous collections. Designing for an international store has its own challenges. Every print, leaflet, look-book and personal letter had to be customized for each country. To achieve the best result, we hand picked each photo - both with a focus on the overall look and feel, and special attention to every detail. We built an eCommerce ecosystem for Melvin & Hamilton. We integrated Melvin & Hamilton with warehouse management and omnichannel trade systems. As a single source of truth for all product-related content, attributes and assets a PIM system is simply a must at this scale. To make sure all product information can flow smoothly between systems and always stays up-to-date, we’ve implemented a customized integration with Akeneo. Prioritizing scalability and security of server infrastructure: the architecture we've designed for Melvin & Hamilton is stable and flexible at the same time - it can cope with traffic peaks coming from seasonal promotion campaigns, national events and holidays. When we decided to launch our e-shop in 2012 we needed an agency that would quickly understand our needs and help us set-up and maintain our store using Magento CE framework. In the past years our business has grown to multiple million € turnover and Kiwee remains a valuable partner ensuring scalability of our core systems.